Congratulations Dr. Ksenia A. Aaron, the 2018 ANS Research Grant Award recipient. The ANS Research Committee and the ANS Executive Council selected Dr. Aaron's grant titled, “Modelling and Restoring Hearing and Vestibular Deficit of Non-Syndromic Deafness”. Dr. Aaron is from Stanford University School of Medicine. Dr. Aaron will begin a three year neurotology fellowship in July 2018, as a T32 track (clinician-scientist) fellow, at Stanford University. 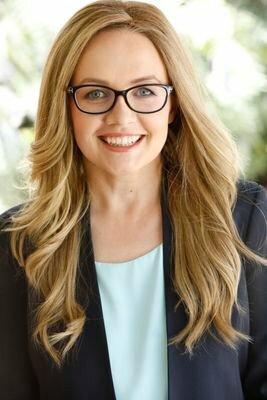 Dr. Aaron has significant previous research experience in the field of neuroscience spanning from neurodegenerative diseases in animals as an undergraduate, to age related hearing loss with Dr. Rick Friedman during her residency at USC. 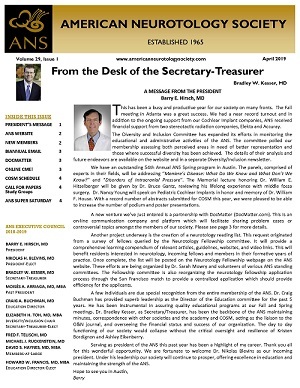 The purpose of the American Neurotology Society (ANS) Research Grant is to encourage and support academic research in sciences related to the investigation of otology and neurotology. Appropriate areas of research include diagnosis, management, and pathogenesis of diseases of the ear and/or skull base. Grants that focus on addressing clinical gaps are especially encouraged. Grants may involve cell/molecular studies, animal research, or human subjects research. The maximum award request is $25,000 per year (US dollars) and is annually renewable on a competitive basis. Indirect costs (overhead) are not allowed. Grants are available to physician investigators in the United States and Canada only. We particularly encourage those individuals without a history of K08, R03, R21, or R01 funding to apply. Click here for Fast Facts about the ANS Research Grant! The American Neurotology Society Research Fund only accepts grant applications and reference letters electronically. Please prepare your application electronically and have everything including reference letters contained within one PDF. Please submit your final PDF application by email. Reference letters may be electronically prepared and signed as PDF documents, or may be scanned as PDF documents, in order that they may be included as part of the grant application.